← Day 98: InspiraTO Festival. If you are what you eat, does that include what you drink? Because if so, I’m probably one salty concoction of mushrooms, wine, cheese and tea. Within those four primary food groups, there are a myriad of varieties, and I have made it somewhat of a mission in life to sample as many of them as I can. That includes throwing in the occasional anti-oxidants for good measure, because life’s all about balance. Today’s new thing actually originated from a fundraising pampering session held way back in March, where I learned how to make Chaga tea from a naturopath friend of mine who spends her free time foraging for mushrooms. In between ear candling, paraffin hand wax, and neck massage treatments, I was served a delicious bowl of the stuff that was prepared by the good doctor herself. It was divine! 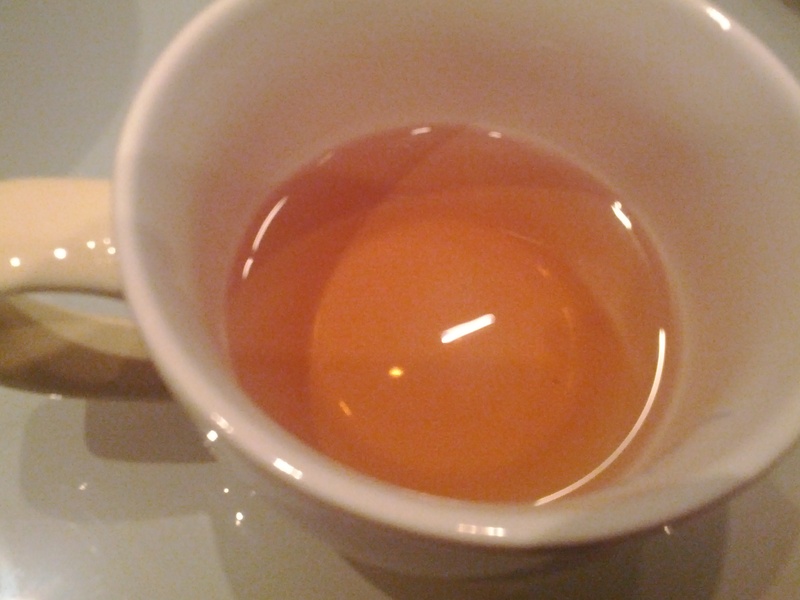 She recommended ingesting two cups a day to truly benefit from its legendary health properties. I said that would be lovely, and asked her what time she would be coming by every day to prepare it for me. She was not amused. 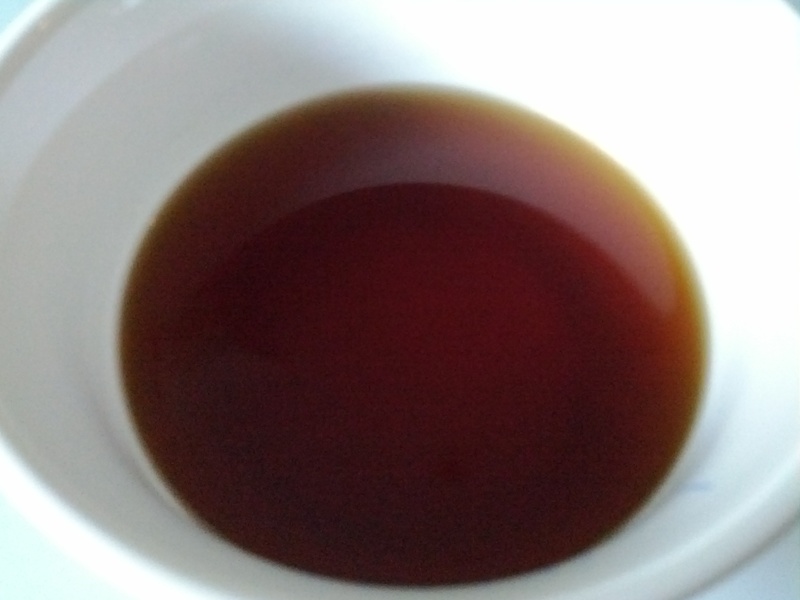 As luck would have it, I received a luxurious, all-natural, handmade face cream, and a few chunks of the Chaga mushroom, along with some directions on how to brew the tea, as a parting gift. Like most forms of instruction that use more words than pictures, rather than engaging in the taxing art of reading, I merely filed it away in the tea cupboard. 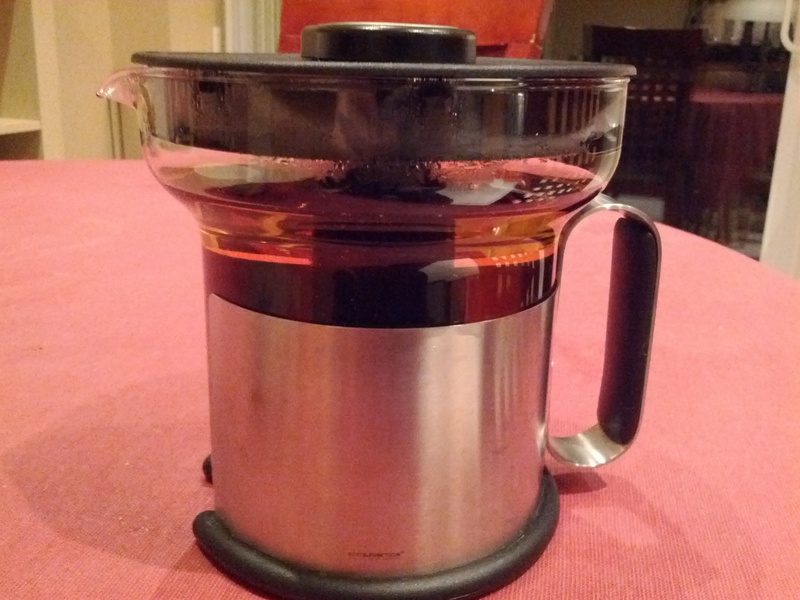 Tonight, I decided it was time to rescue the package, and brewed a pot using a process loosely based on what I could recollect from my conversation with her so many moons ago, because that was still easier than reading. I mean, how hard could it be? It was tea, for chrissake! 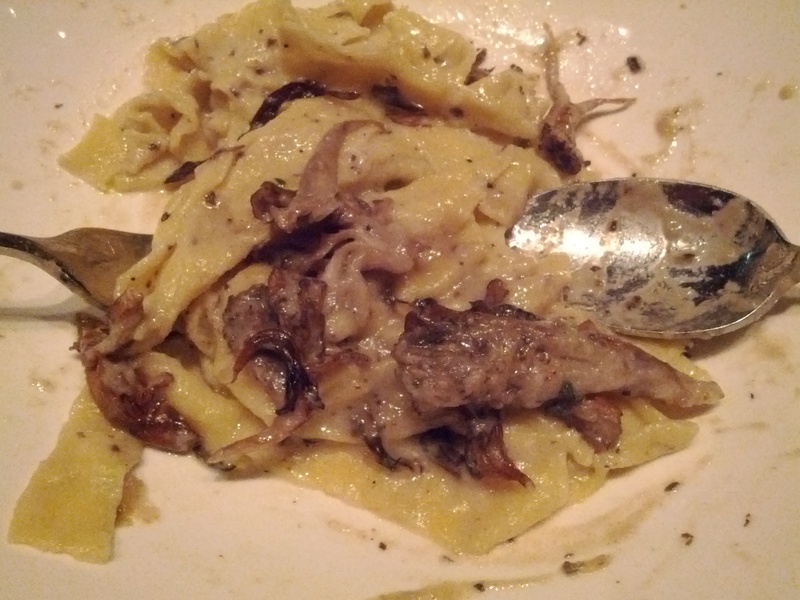 Yummy mushroom tagliatelli at Enoteca Ascari. I rummaged through the spice rack, and pulled out some cloves and cinnamon, because that seemed to ring a faint bell, and really, you can never go wrong with cinnamon. The kettle boiled, the ingredients were added to the tea infuser, and things were happily steeping away. It was at this point that I thought I might as well take a peak at the instructions. Hmm… They were, well, different. Boil on low heat for a couple of hours? What?!?? Who has that kind of time?!! I needed help asap to digest my earlier first ever pasta dinner at Enoteca Ascari, a relatively new haunt in Leslieville that proved to be simultaneously hip and tasty. I almost thought I was way down across the great divide on the other end of Queen Street for a minute – true story! 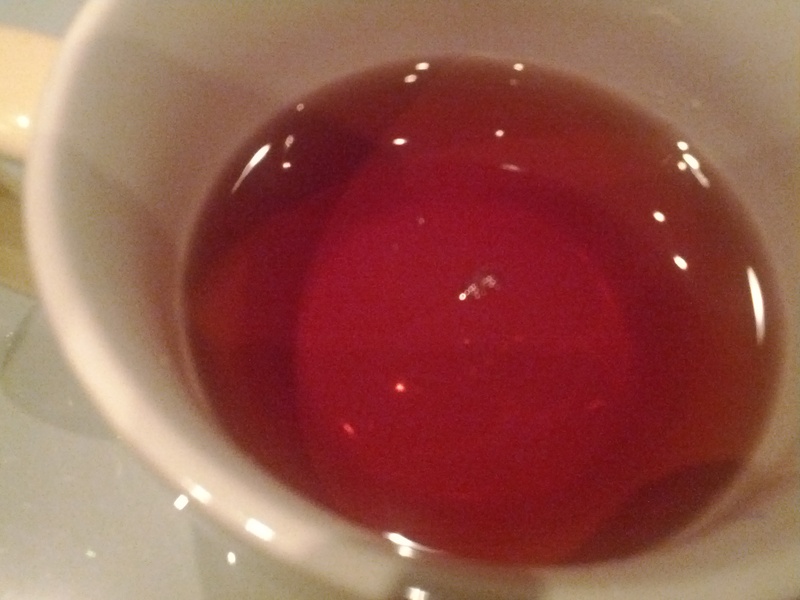 As if I were a professional winemaker sampling for just the right colour, taste and aroma, I decided that the tea was finally dark enough to drink, and it was almost as delicious as the lovely beverage that had been prepared for me that magical night just a few short months ago. With all the red wine already in my system from dinner, I was fairly confident that the fine balance of anti-oxidants had swung in my favour, and I had to have entered into some elite magical state of super powers by this point. Needless to say, I slept very well that night, dreaming of my next new tea brew to chase away all of my upcoming wine, cheese and mushroom fiestas. Life is very good, indeed! 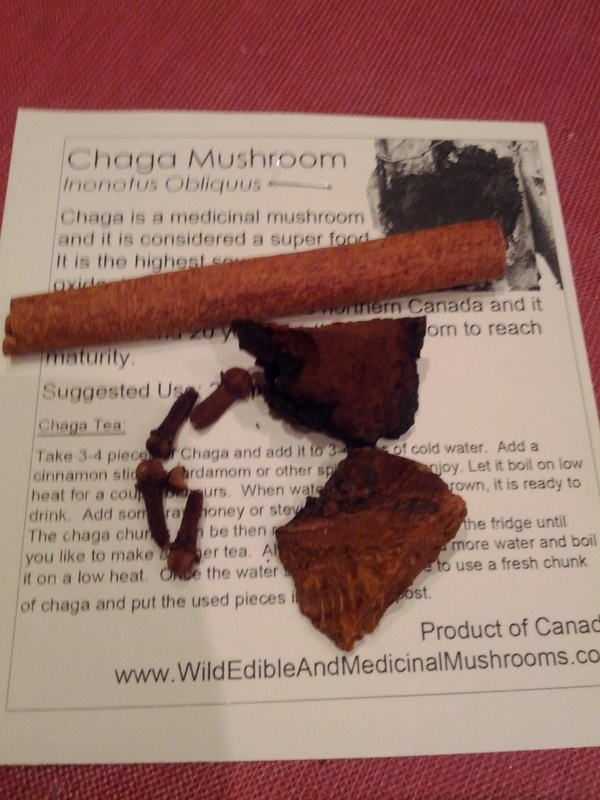 This entry was posted in Food and Drink and tagged Chaga tea, Drink, Enoteca Ascari, Food, June, Toronto. Bookmark the permalink.